It’s not every day you come across a plant with such wildly extraordinary flowers as this native, flowering vine. Flowering from late spring to late summer, passionflower is an exciting addition to any garden, children’s gardens in particular. This fast growing vine attracts a variety of butterflies and will quickly cover an arbor, creating shade in the hot summer months. We suggest planting this vine near a play kitchen, sand box, stage, or use it to naturalize a chain link fence. Passionflower is a perennial vine (meaning it comes back every year) that dies back in the fall; it needs rich well-drained soil and partial shade to full sun. With winding tendrils, this vine can climb vertical structures like trellises and armatures created from chicken wire or similar materials. The flower buds open daily, revealing the incredible blooms, a fun observation for adults, children… and butterflies. Like most native plants, passionflower has a distinct relationship with particular insects making it an excellent addition to a butterfly garden. 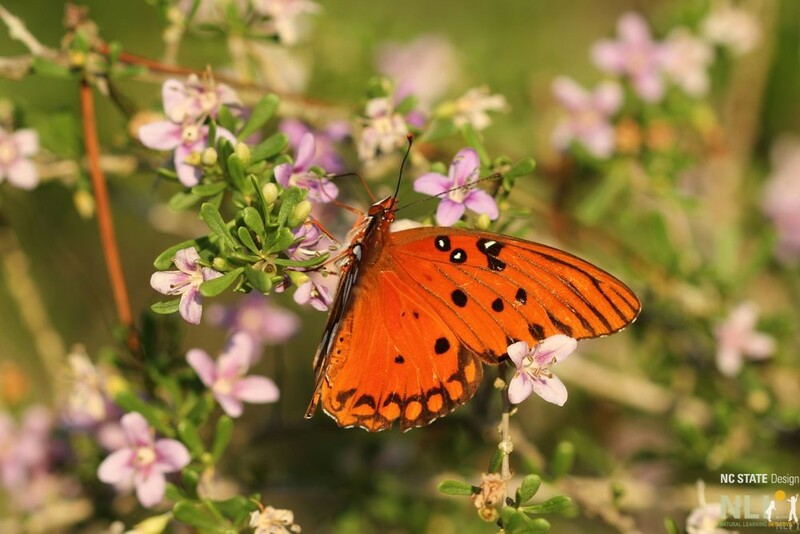 It is a host plant to the gulf fritillary, a migratory butterfly that uses the leaves for food in its larval (caterpillar) stage and the nectar of the flower in its adult (butterfly) stage. 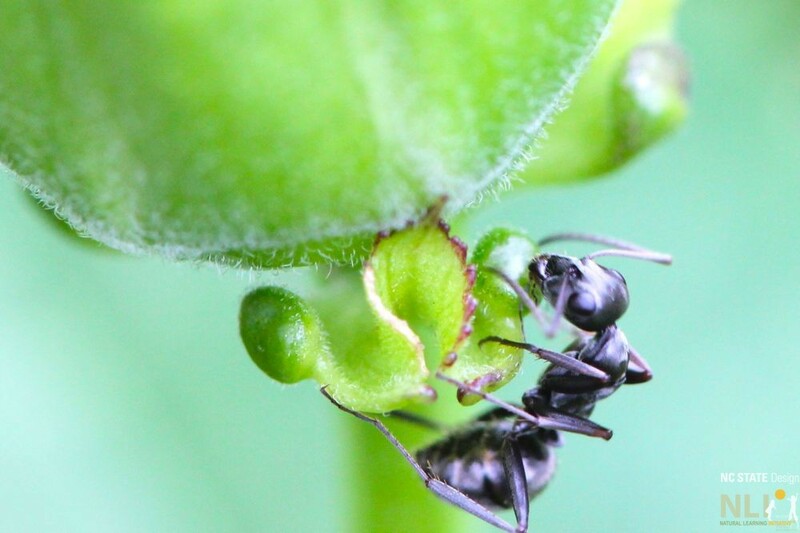 Ants also live on this plant and are fed by nectaries (a part of the plant that produces nectar) that are just below the flower bud. The ants act as guards, protecting the vine from smaller insects such as aphids that might otherwise infest and kill the plant. What a great way for kids to learn about plant and animal relationships! 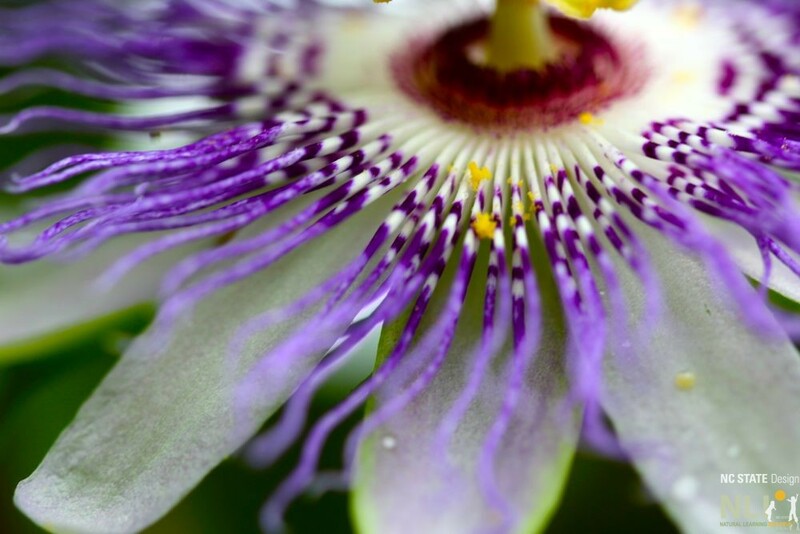 Passionflower, also known as maypop, was thought to have been named for the sound the edible fruit makes when stepped on. However, the name is actually derived from the Powhatan word for the plant, Mahcawk. American Indians all over the southeast have used this plant for food, medicine and drink. Today, herbalists use the leaves, stems, root and flowers to treat a variety of ailments. 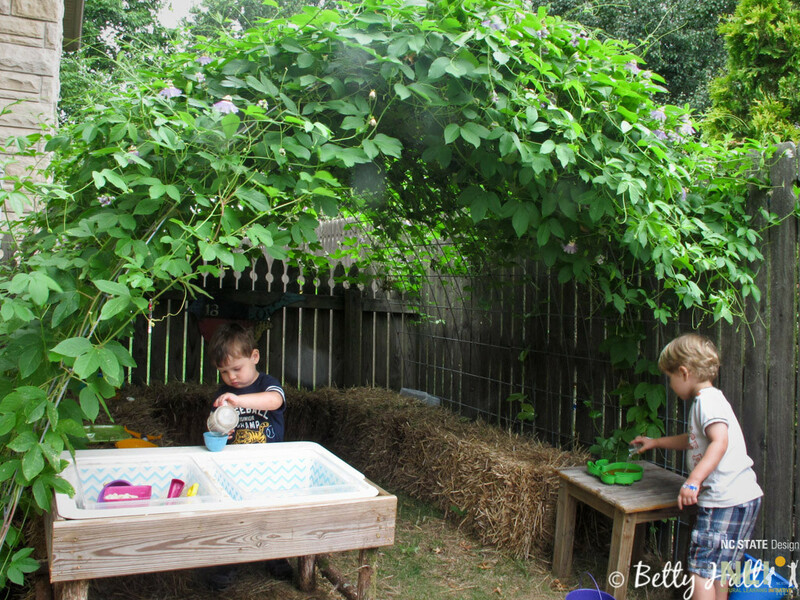 Passionflower covers a trellis over a play kitchen. Photo courtesy of Betty Hall Photography. Gulf fritillary nectaring on matrimony vine. Photo courtesy of Juliet Blanketspoore. Ant feeding on nectary of passionflower. Photo courtesy of Juliet Blanketspoore. 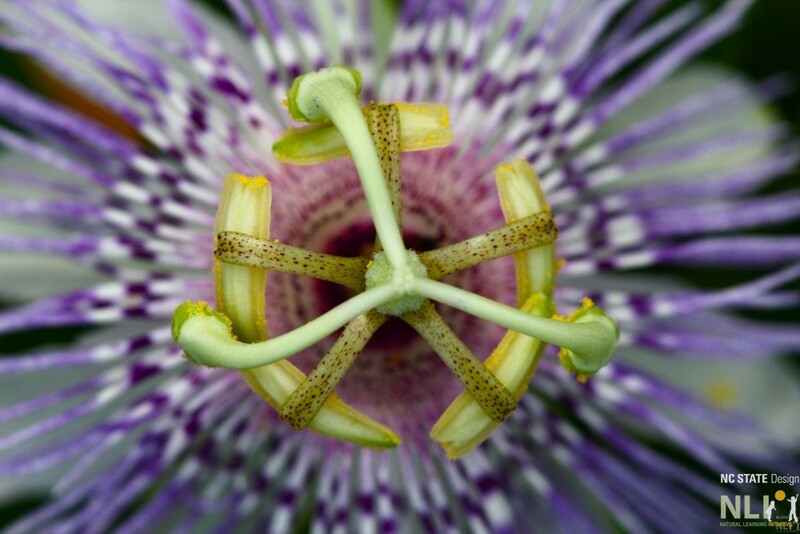 Close-up of passionflower. Photo courtesy of Juliet Blanketspoore. 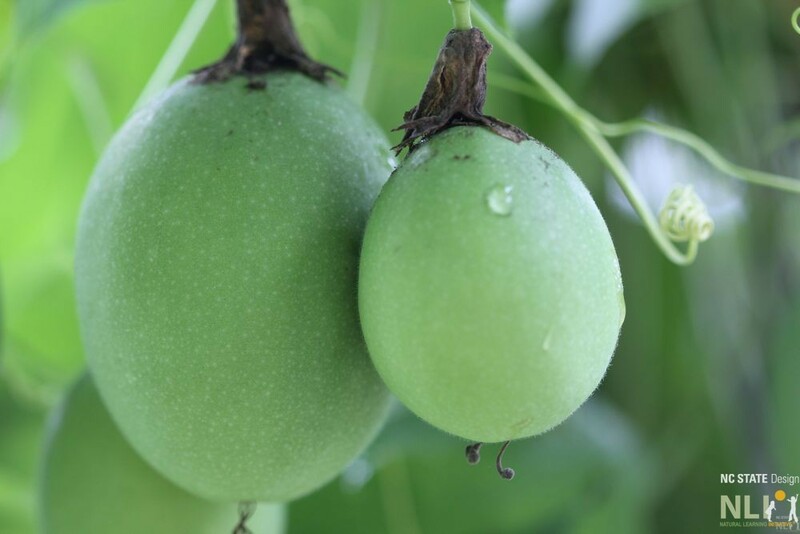 Unripe passionfruit. Photo courtesy of Juliet Blanketspoore.